Northglenn, Colorado was built in 1959 and is a Home Rule Municipality. The city boasts many fun adventures for the entire family. Whether you are playing in the Boondocks Food and Fun Northglenn or enjoying some leisure time at the E.B. Rains Jr. Memorial Park, a toothache can steal away the fun. When a dental emergency strikes while you are out of town you may worry about what to do but Northglenn has many dentists and specialists available to serve you during your time of need. When you are trying to find a dentist in Northglenn, CO, emergencydentistsusa.com has what you require. We have worked together to create a list of dentists and dental specialists in the local area to present to you. After you have gone over the list all you have to do is choose a dentist that fits your need and give them a call. If you want additional assistance, call our toll-free dentist finder hotline. Our friendly team is there to listen to your needs and concerns. We can help you to best identify the dentist or dental specialist you need. Our staff will go over all the available options and let you know their hours of availability. You just need to determine which dentist best suits you and we can call and schedule your first appointment for you. We highly recommend that you arrive at least 15 minutes early to your appointment to give you time to ask questions and fill out paperwork. It is necessary to bring your ID, insurance card if applicable, and any payment method required. While visiting Northglenn, CO., you may worry about finding a dentist to serve you. There are many dentists and specialists from general dentists to oral surgeons, cosmetic providers, orthodontists, and more available to you. You are best served to consult first with your general dentist before seeking treatment from a specialist. If they think you need to visit a specialist, you will be referred. Description: The team at Northglenn Smiles Dentistry and orthodontics is here for your smile. 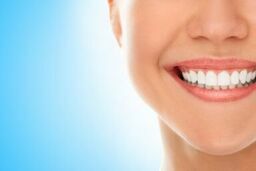 They offer a full array of services to keep your smile looking its best. Our office accepts many insurance plans and will file claims for you. They also offer financing and look forward to serving you. Description: Denali Dental Northglenn is a family and cosmetic dentist that understands the important role quality oral health plays. They are honored to provide the most advanced dental care possible. Dr Sefcik provides an array of preventative, restorative, and cosmetic dental care services along with dentures and crowns. Most major dental insurance providers are accepted and new patients, referrals and walk-ins are welcome. Description: New Day Dentistry gord far to deliver you with the level of dental care we would want for our own families. Our office offers a wide range of procedures from dental implants, crowns, whitening, general dentistry, and more. Our team is looking forward to meeting you. Tooth pain can come on at any moment and stop you in your tracks. If the pain comes on and lasts longer than an hour it is an vital that you seek emergency dental care. If the pain you are experiencing is from an accident, go first to the ER to rule out any serious injuries. Before you go to your dental appointment, verify that your Northglenn dentist’s licenses and credentials are all active. To do this, go to the Colorado Dental Association website and search for the dentist’s name.